It’s today. Nineteen years of work, sleepless nights and countless nightmares. To see Caitlin released. There are real monsters out there. The worst part is that they’re human. Nathan found a girl lying on a beach covered in blood. Saving her life was just the start. Now he’s the prime suspect and he has to find out who’s really responsible. Both of their lives depend on it. Why doesn’t his story add up? 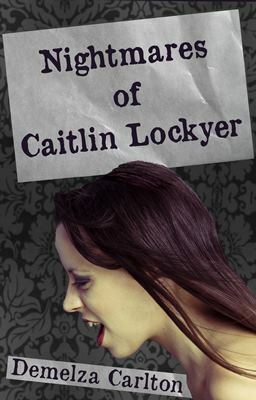 After almost a million reads on Wattpad, Nightmares of Caitlin Lockyer is now available in professionally edited ebook format. Nightmares is a fiction project I’ve been working on since I was 12, which makes it old enough to legally drink alcohol in Australia. With the success of Ocean’s Gift, I’ve chosen to let my Nightmares see the light of day. I hope you don’t lose too much sleep over them! It’s now available from Amazon and Smashwords. The second book in the series, Necessary Evil of Nathan Miller, will be released on 30 August 2013.